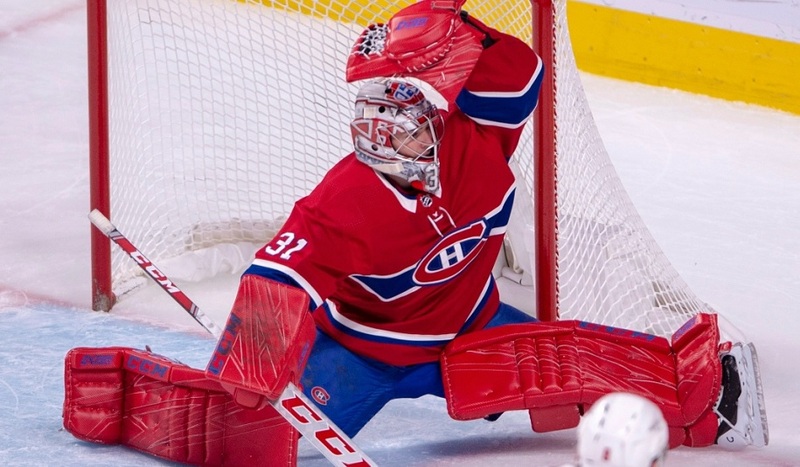 After a successful Super Bowl weekend, the Habs returned to nocturnal action on Tuesday night. To do so, they had a rare contest against the Anaheim Ducks and in a great PR move, the Habs wore white at home for the occasion. In the Ducks, the Habs were facing a team desperate for a win after four consecutive losses, a team that appears to be sellers at the trade deadline and that have some rumoured links to the Habs. This mattered little once the teams hit the ice as the Ducks continued their subpar play and the Habs took advantage of this to dominate with their speed. They also dominated the scoreboard with a 4-1 win before a much tougher stretch of games gets underway on Thursday. Carey Price remained in his crease for this contest and was faced with Chad Johnson as John Gibson got the night off. Due to various ailments, there were quite a few changes to the lineup. Andrew Shaw was not ready to return, Paul Byron injured his shoulder against the Oilers, and Tomas Tatar came down with a flu virus in the morning. This meant that Max Domi was flanked by Charles Hudon and Matthew Peca while the fourth line consisted of Michael Chaput with Nicolas Deslauriers and Kenny Agostino. No changes were made the defensive brigade in front of Price. The game started with a sight Montreal fans have become accustomed to of late as Joel Armia’s strong puck play led to a good scoring chance for the winger off the opening faceoff. This chance would be the only one of the opening five minutes as both teams felt each other out. Mike Reilly ended this sequence with some nonchalant puck management on the offensive blueline when he was stripped by Daniel Sprong. Luckily for Reilly, Price’s savvy poke-check thwarted the 2-on-1 that ensued for the Ducks. This was an important play since a few moments later, Phillip Danault’s strong forecheck caused Josh Manson to cough up the puck. 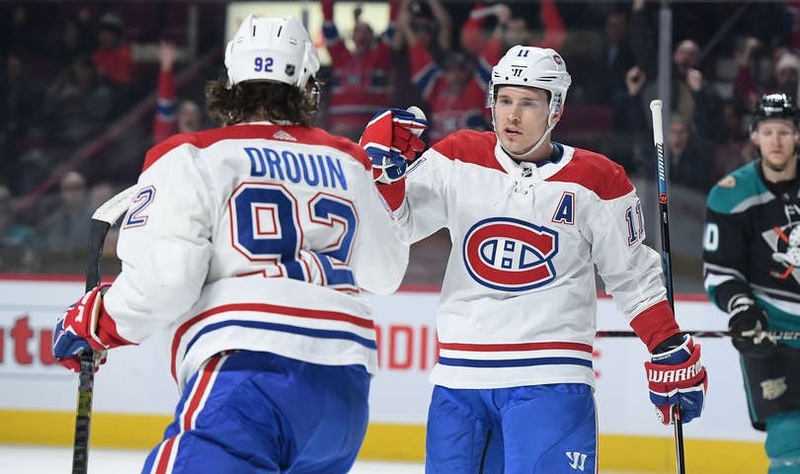 Jonathan Drouin took advantage of the situation by finding Brendan Gallagher who quickly wristed a shot to the top corner for his 20th goal of the season. The standouts of the period were the Finnish line and their relentless puck pursuit. They were rewarded a few minutes after the Gallagher goal when an offensive zone entry saw Hampus Lindholm reverse way too far into his zone. Armia’s shot resulted in Johnson giving out a huge rebound and Jesperi Kotkaniemi was there to bang it home for his third goal in as many games. After a few solid Price saves following the second goal, the Habs came charging back with Armia and Chaput being stopped by Johnson who tried to match Price’s recent saves. With 3:30 left in the period, Cam Fowler heard footsteps in the defensive zone and coughed up the puck to a forechecking Danault. This led to a series of attempted one-timers, the third of which saw Drouin once again find Gallagher in the slot to make it 3-0. Finally, with a minute left, Brian Gibbons was guilty of tripping and the Montreal power play looked dangerous but did not score. The opening minute of the second period saw the Habs completely squander the end of the man advantage, but the momentum was saved by an excellent shift from Danault, Gallagher, and Peca afterwards. The following shift was more difficult as consecutive giveaways from Jordie Benn forced Price to bail out his team. Unfortunately for Benn, this shift really swung momentum for the Ducks who got the Habs off their game by bumping Price every chance they had. Hudon showed off his hands with some slick dekes before Lindholm slashed Hudon as he was trying to shoot. This second power play was terrible until the second unit got a few chances on Johnson. This lack of finish on the man advantage cost them as the Ducks scored a few moments later. Ryan Getzlaf was simply too strong for Agostino at the Montreal blue line as he bulldozed his way into the zone. He then attempted a pass to the slot as both Devin Shore and Corey Perry missed their shot but saw the puck trickle to the back door where Getzlaf tucked it in behind a scrambling Price with 8:31 to play. Claude Julien responded to the goal by sending out the Finnish line and it was the right call as the play was immediately in the Anaheim zone. However, Brett Kulak pinched to help and clipped Jakob Silfverberg with a high stick, sending the Ducks to their first power play of the night. Their man advantage was on par with the Habs as it wasn’t very dangerous, though Benn made a great defensive play during the sequence. The final five minutes of the period saw both teams get some perimeter zone time without challenging the goaltenders too much. The Ducks came out with a strong first minute to the third as they attempted to get back into this game but a strong shift by Benn and Kulak got the puck out of the zone. A solid zone exit by Kulak a few moments later got the puck to Gallagher. Gallagher entered the offensive zone and found a streaking Drouin. The latter had too much speed as he went wide and made a back pass over the back of the net to Danault who squeaked a puck under Johnson for his 10th of the season with 17:29 still to play. The Habs were all over the Ducks for the five minutes that followed the goal as this game looked over for Anaheim. Just as the Habs appeared like they might let up a bit, Brandon Montour took a high sticking penalty to send the Habs to another power play. The man advantage was its usual ineffective self, though the second unit was able to create a few scoring chances. 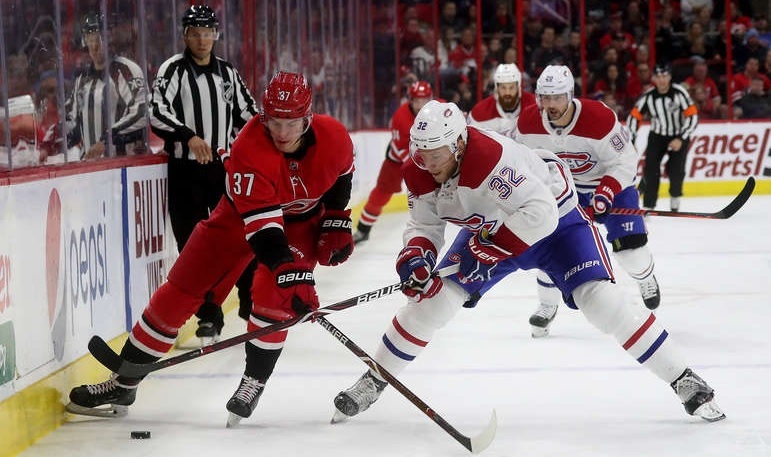 The Habs remained in the offensive zone afterwards, happily playing on the perimeter and seeing the minutes waste away as they held on for the victory. The team won both its games over the weekend and Montreal’s top goal scorer wasn’t even mentioned. Gallagher was back in the thick of things on this night as he scored his 20th and 21st goals of the season as he is once again looking like a player that will reach 30. If he and Drouin can find some chemistry down the stretch, the Habs would have three lines capable of putting goals up on the board which is way better than the situation in which Gallagher scored 30 in last year. Stats: 2 goals, 1 assist, +3, 2 shots, 2 hits, 16:05 T.O.I. The overtime hero from Sunday afternoon played his most inspired game in a long time. Perhaps the added pressure of not having Tatar and Byron in the lineup placed extra pressure on him? I prefer the explanation that the overtime goal got the monkey off his back and he’s off to the races now. I hope so anyways because a productive and dangerous Drouin will make the Habs a tough opponent down the stretch. Stats: 3 assists, +3, 2 shots, 17:09 T.O.I. Often the unsung hero on this team, Danault’s strong forecheck was the main reason for Gallagher’s two goals. To make things even better for him, he was then rewarded with a goal when his teammates showed some hustle and allowed Danault to be the player getting open in front of the net. Good for him for making it count and scoring the goal. Stats: 1 goal, +3, 3 shots, 1 hit, 17:24 T.O.I. Feels strange to have the team’s prize possession rookie breaking records and not including him here. However, I think Armia’s recent outstanding play is the reason for Kotkaniemi’s recent production. Armia’s positioning and strong puck play is allowing Kotkaniemi to place himself for the shot, the rebound, to be defensively responsible, etc. Chemistry is obviously present on this line and Armia has been a stand-out of late and Kotkaniemi likely thinks it’s pretty mint that he’s playing on this line.